A great way to exercise the whole body this parachute provides a fun way of developing basic physical coordination. Encourages group activity and interaction. Made of colourful, lightweight, fire-resistant polyester and boasts robust handles. 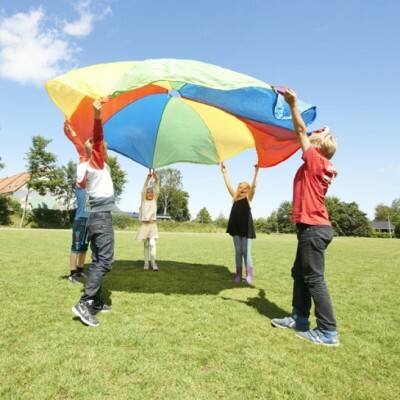 Lots of people can play at the same time because the parachutes have a strong 10mm thick rope sewn into the outer edge. Suitable for children from two years. Delivery is free to mainland UK.